High Strangeness: Hasta la vista, MUFON! You'd always be welcome at API. We don't get as many reports as MUFON, but are working on that. This makes me so angry. Here you are, someone trying to do your best to be open and most importantly, impartial. 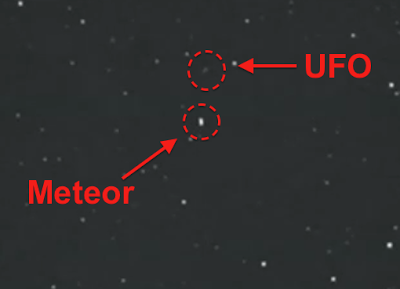 MUFON is full of these quacks. In the early 90's I had a co-worker who worked for MUFON in another midwestern state. Same thing, he had to throw in the towel. He actually wanted to actually investigate his cases, use reason and scientific rigor. What some at MUFON want is for each case to be an instant "win" for extraterrestrials...or in your case, orbs. So frustrating. What I enjoy most about your blog is your healthy skepticism. There are definitely odd things in our skies, a real phenomena that deserves serious scientific inquiry. Not a bunch of deluded whack-jobs who treat this phenomena like a religion. I thought I had left a comment on this, maybe I did something wrong. Anyways, I'm sorry to hear of your problems with your State Director, I agree with your stance here, and I'm happy to be able to say that I have no such issues, as of yet, with my own State Director, who seems to be happy that I am applying a scientific rigor to my investigations and hasn't pressured me to alter any of my case dispositions so far. Thanks for the insightful post, best of luck! For a non paying position, you sure took enough crap from MUFON before you finally stepped away. Or are you going to crawl back to these people eventually? Thanks for the kind comments, Paul, Eric and Saucerspud. Anon, I won't be "crawling back" to MUFON. I was hoping to do more work as a MUFON Field Investigator because it's a fascinating, unique and educational experience. My former state directors were generally pretty reasonable to work with, but I just can't work with this new person. I am still a paid-up member of MUFON until next fall, so I'll be reading their newsletter but I won't be doing any investigations for them. Meanwhile, I'm thinking of joining up with a Wisconsin-based investigation group started by some ex-MUFONers. I think you made the right, inevitable decision, Mark. Given the apparent delusions of uh... gosh I'm drawing a blanc, here, your state director (how do such people get such a position in the first place? Is there no vetting of same? ), anyone with an objective and empirical perspective would make the same choice. Unfortunately, for decades now MUFON has been a secretive, top-down and biased organization with a number of scandals over the past decade alone, and I suspect MUFON will eventually collapse over time because they don't even seem to want grass-roots MUFON member requests for reform and reorganization, so you are better off joining another, smaller and more dedicated group to do serious UFO investigation.